Warm sun, fine sand, fresh sea-breezes, rich vegetation, delicious food and friendly hospitality are just a few of the things that await you at Hotel Esperia. 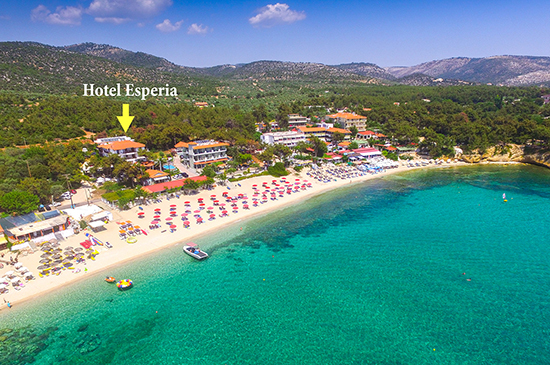 We're located right next to the beach in one of Thassos's most beautiful areas, Pefkari Beach. Our hotel offers plenty of rooms for family and friends with many offering amazing sea views of the southern Aegean. Why not join us downstairs at our bar where you can have pretty much any drink you desire and listen to great music. If you're hungry, join us next door in our restaurant where we'll serve you a delicious meal. We're sure that your stay with us will be fantastic as we have everything you could want for a perfect holiday. 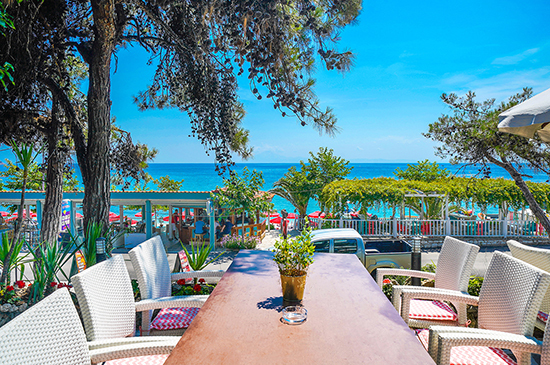 Our location in Pefkari Beach is sure to be a highlight of your stay with us. We're a mere 10 meters away from a beautiful beach where you can find plenty of sunbeds and umbrellas for complete relaxation. If you come during the low season, you'll be almost guaranteed to have the entire beach to yourself. Whenever you decide to come, the area of Pefkari will always be amazing. Off the coast, you'll find great places for scuba diving with diving centers to help you get started nearby. If you don't want to go under the water, you also can have the opportunity to fly above it! Pefkari Beach offers watersports with activities such as parasailing and various other water activities. 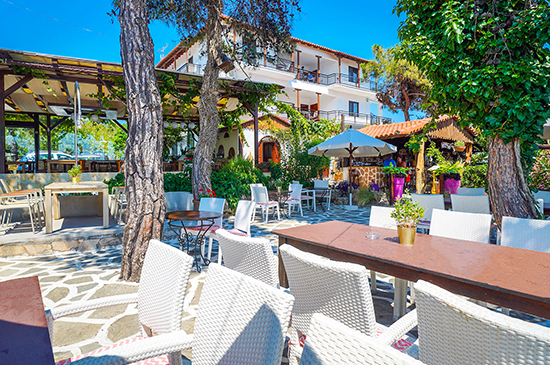 Should you want more adventure, the resort town of Potos (1 km) and also Limenaria (2 km) are nearby where you can find plenty of nightclubs and cafes to party the night away. The choices you'll have if you stay with us are plentiful and you'll have a wonderful time!